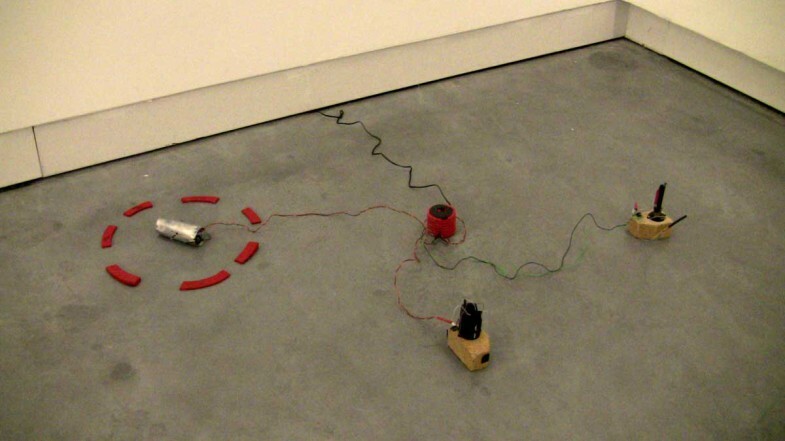 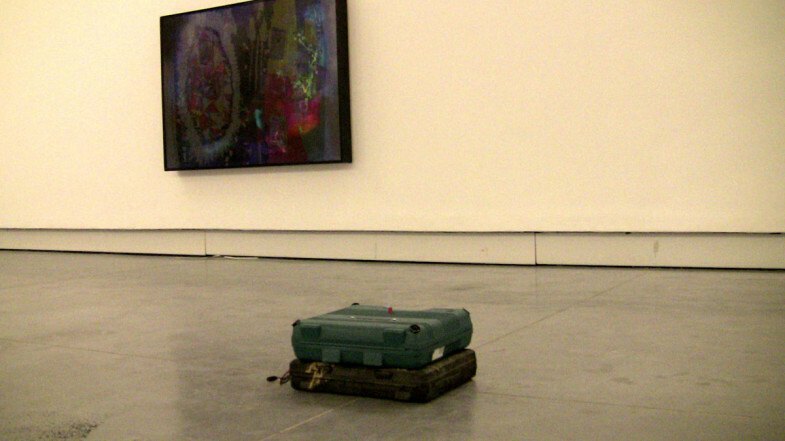 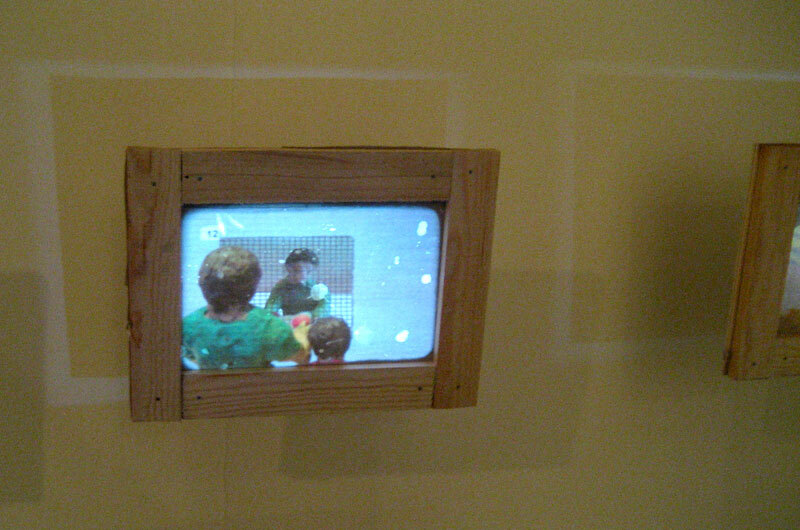 DEVICEs & Occupation Loop Triptych installation, Ministry of Culture prize winners group show, Petach-Tikva Museum of Art, 2012. 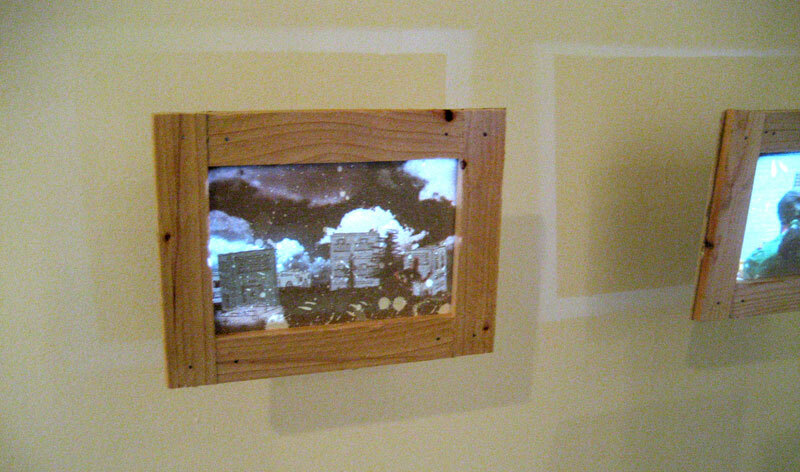 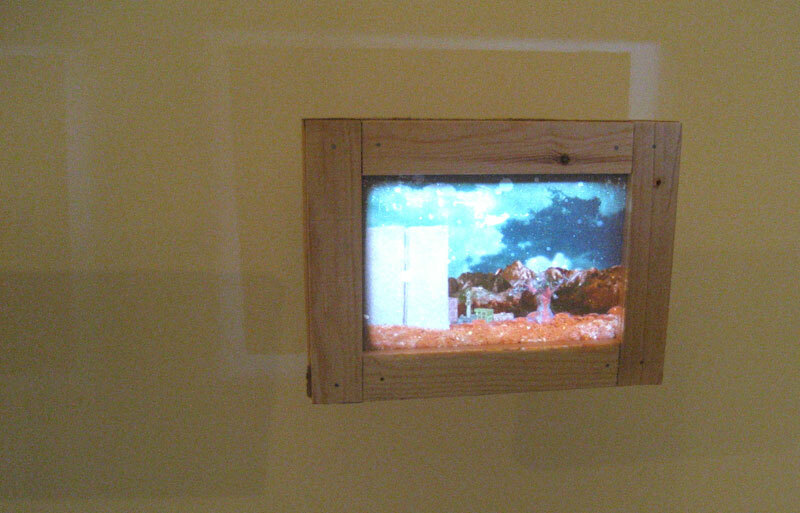 The triptych is projected from three identical structures representing the occupier, the animation is projected on recycled cardboard [previously used for a paint job] that is framed with rough wood. 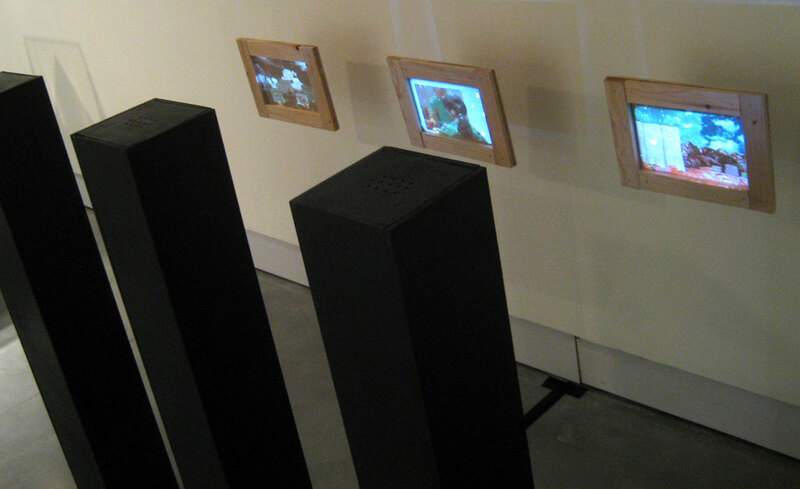 The three black pillars are somewhat obstructing the view, not allowing the viewer to get closer to the projections. 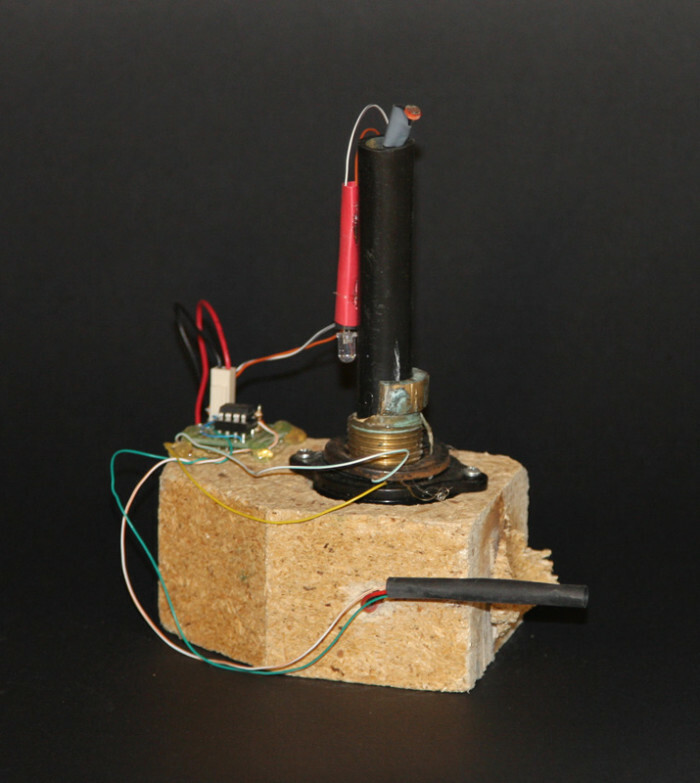 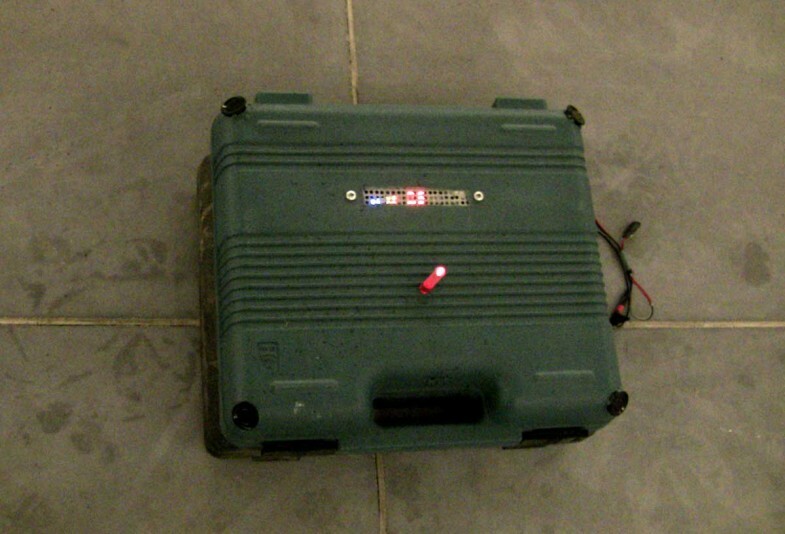 This series of devices respond to light & shade and can be individually calibrated when switched on, when active these will omit clicking sounds & flash a red LED, the tempo of the clicking changes buy the amount of shade, less light = faster clicks, when the lowest light level is reached the sysytem will go into freeze mode, with 10 repetitive half second clicks and a steady red light.